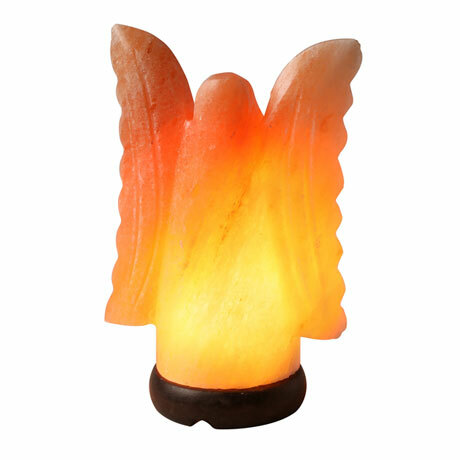 The soft glow and comforting presence are perfect for the holidays or anytime. Hand-carved salt lamp rests on a rosewood base. 4-foot cord with rocker switch, 15W bulb (included). About 5"w x 8"h x 4"d. Size and color will vary.